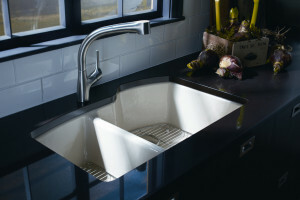 Do you have a sink that drips all through the night? Aside from being annoying, a leaky faucet should cause real concern for your monthly bills and the structure of your home. Many people don’t realize just how much they’re costing themselves by continuously putting off a faucet repair. The truth is, you might as well be dropping money down that drain. 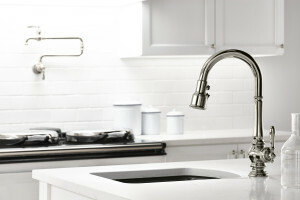 Whether you’re a homeowner or renting, a leaky faucet is wasting more water than you think and subsequently costing you cash. In fact, if your faucet drips once per second, the wasted water would be equivalent to 200 gallons per month. Even if you haven’t seen a change in your utility bills, leaking faucets will cause damage in other places — like the floor beneath your sink. Inevitably, water will begin to pool up and cause mold and mildew. Our team is fully licensed and insured, and has been providing plumbing services to the Main Line area for over 25 years. In addition to reliable service, we practice pricing consistency. 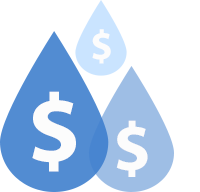 This means we charge the same price per project from customer to customer. Additionally, our upfront pricing includes taxes, parts, and labor so you won’t receive any surprise fees after the work has been completed. 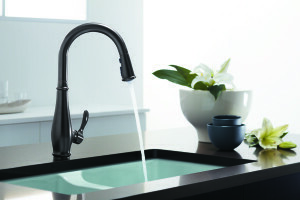 In addition to leaky faucets, we repair toilets and hot water heaters. For more info or to schedule an appointment, contact us today!